Hip Brown Things: That's a wrap on #7vignettes! Did you play 7 Vignettes on Instagram?? The above collage is my wrap-sheet from the entire 7 days. I thoroughly enjoyed playing this month! It can be a time zapper but creatively very satisfying from a styling point of view. The below vignettes were some of my favourites from the above bunch of snaps; each theme is headlined above. 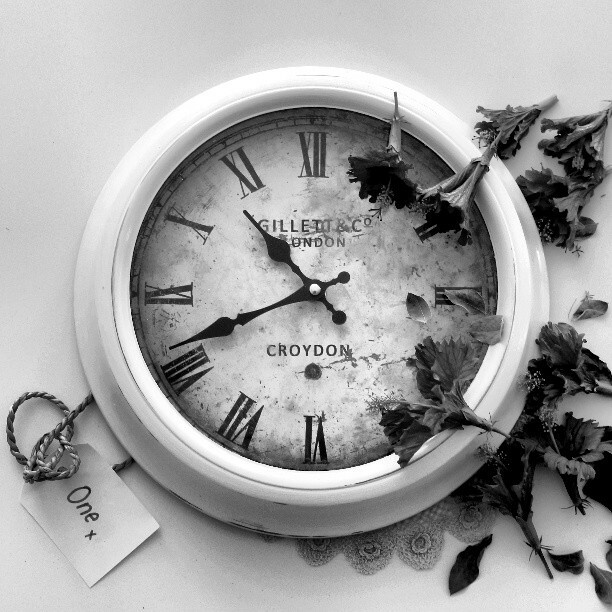 I think the clock vignette above was my favourite of my entire vignette's however I am not sure that I can articulate why... it's just a little bit of fun, you know. Now, should I add the above sign to my Hip Brown wares collection?? Hee hee, it could read "HOME" on one side and "NOT HOME" on the other. It could come in really handy especially on those very rare days you just want to hide from the world (very rarely happens!)... then I think that maybe you're just lining yourself up for regular break in's! Best not!!! Lastly a vignette of one of my hand printed, handmade lime & coconut decor bags becaue I do love making them in a "non sweat- shop but pop-up shop-ish" kind of way. 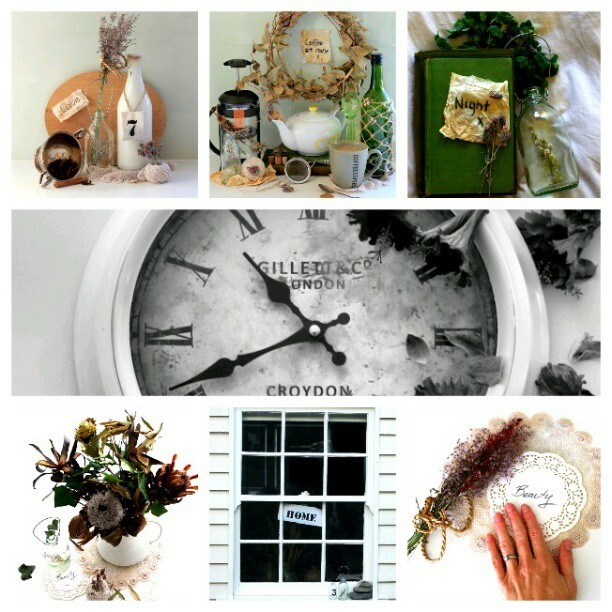 Check out Jen Bishop's Interiors Addict for the details if ever you would like to join in the fun. they are all gorgeous rachel! you're very talented with your vignettes. Love all your vignettes. I keep telling you, you are the Vignette Queen!! !